UAP-PRO is end of life (EOL). 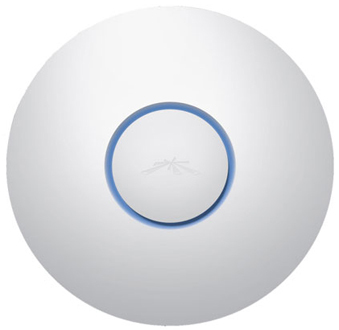 Ubiquiti recommends UAP-AC-PRO for functional replacement. UAP-PRO: 802.11n dual-band MIMO, 750+Mbps speeds, 400ft range. The fastest UniFi model with speeds of up to 300 Mbps in the 5 GHz radio band and up to 450 Mbps in the 2.4 GHz radio band. The UAP-Pro offers simultaneous dual-band operation with 2x2 and 3x3 MIMO technology. It has a range of up to 400 ft and 2 Gigabit Ethernet ports. The UniFi AP-Pro includes a Power Over Ethernet Gig E Adapter. It can also be powered by an 802.3af compliant switch.